You can create the document of pdf from gif format image easily when you use the application PDF Editor which is a professional editor designed for pdf documents. By using it, you can edit the contents of the pdf document such as text, image or other elements. You can also use the application to edit annotations or links for the input pdf document. At the same time, PDF Editor is also a document converter which is able to convert the document pdf to many kinds of image formats and set the resolution for the output image file. It can convert various kinds of image to pdf document. For example, you can create pdf from gif with the help of it. 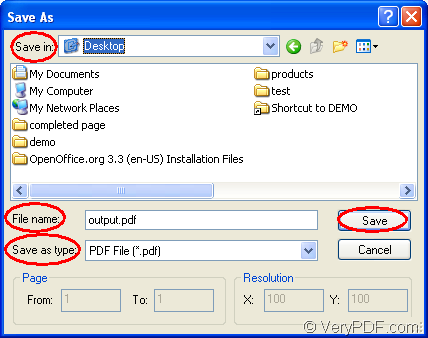 You can download the application PDF Editor at http://www.verypdf.com/pdf-editor/pdfeditor_setup.exe. The installation is necessary if you want to use it. The installation wizard will remind you to create a desktop icon of PDF Editor, which will be convenient to your work because you can double click the icon on your desktop when you need to use the application. Then please see the following contents which are specially written for describing the steps of creating the document of pdf from gif image. At first, please open the application and then you will see its friendly and clear user interface on your screen. For adding the input gif image file into the application, you can click “File” to open the dropdown list and click “Open”. Then you will be able to choose the file you want to convert in popup “Open” dialog box. You can also click “Open” button in the toolbar or press “Ctrl”+ “O” on the keyboard at the same time. Then you need to do the most important work in this conversion. Please save the gif image as pdf document by clicking “File”—“Save as” to open “Save as” dialog box. Please see it in Figure 2. You need to choose a location for the target file in “Save in” dropdown list. The output file needs to get a new name and you can input the name in “File name” edit box. In “Save as type” dropdown list, please choose the right output format. If you want to create pdf from gif format image, please choose “PDF File (*.pdf)” as the output format. At last, please save all the changes you have made and run the conversion via clicking “Save” button. There are also some other useful information about PDF Editor at its homepage: http://www.verypdf.com/app/pdf-editor/index.html. You can also select the license of the application you need to purchase at this homepage. 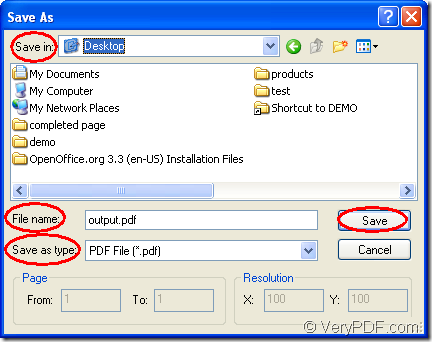 How to add stamp annotation to PDF files with VeryPDF PDF Editor? How to add text stamp by PDF Editor? This entry was posted in PDF Editor and tagged pdf from gif. Bookmark the permalink.